2 Which are the types and status for the Layers I can find in a Map? 3 How can I change the type or the status of a Layer? 4 How can I edit a Layer or Features in a Layer? 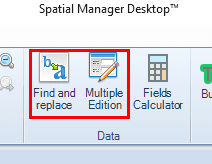 5 Can I change the location or rename the data sources of external Layers in a Map? 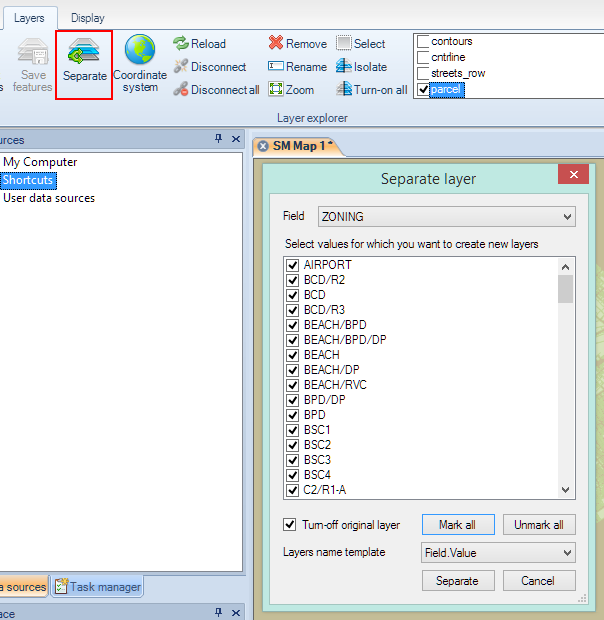 6 Can I separate a Layer into other Layers for thematic or data discrimination analysis? 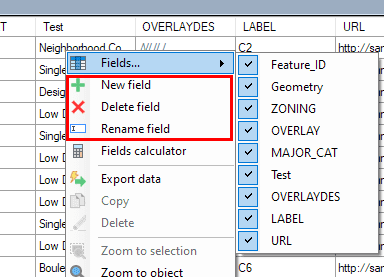 7 Can I rename or remove a Layer of a Map? 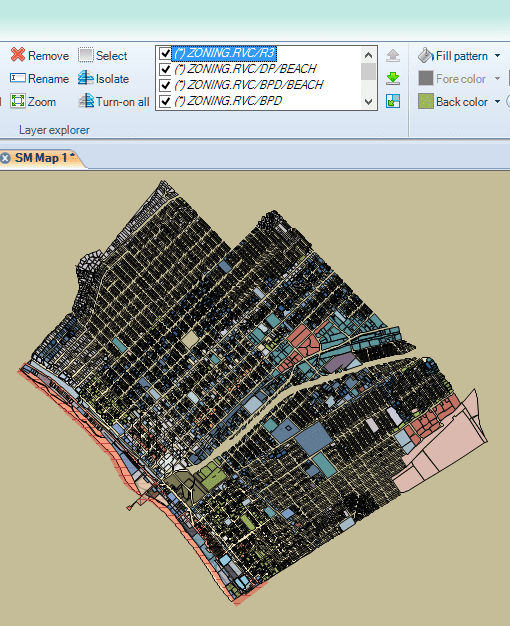 Which are the types and status for the Layers I can find in a Map? 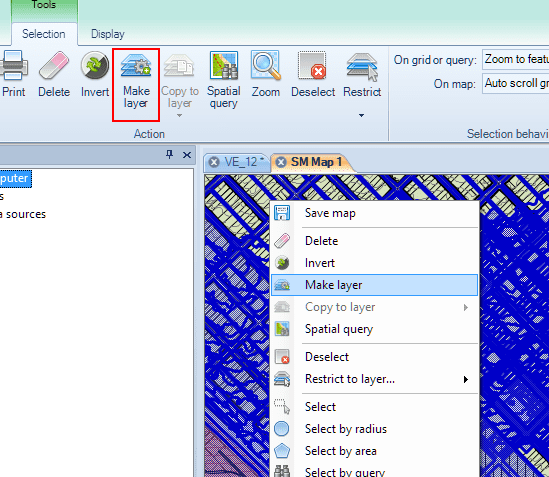 "Embedded in the Map": when the Layer content is located inside the Map (SPM) file. You may note that this type of Layer is in italics in the list of the ribbon "Layers"
How can I change the type or the status of a Layer? How can I edit a Layer or Features in a Layer? 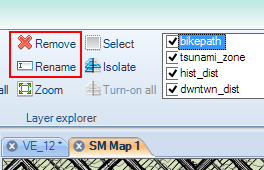 Can I change the location or rename the data sources of external Layers in a Map? Can I separate a Layer into other Layers for thematic or data discrimination analysis? Can I rename or remove a Layer of a Map? This page was last modified on 20 September 2018, at 10:18. This page has been accessed 87,689 times.